Travelling to different destinations, be it for vacation or work, is an exciting thing. However, sometimes the incidents during the course of the journey are more adventurous and enlightening than the travels undertaken on reaching the destination. The author Divya Johry comes up with the book “The longest ride on the Kincham Express”, which is about five people going on a mysterious journey and learning so much about each other, and also about themselves during the expedition. The front cover of the book is captivating, and is apropos the title and storyline of the book. 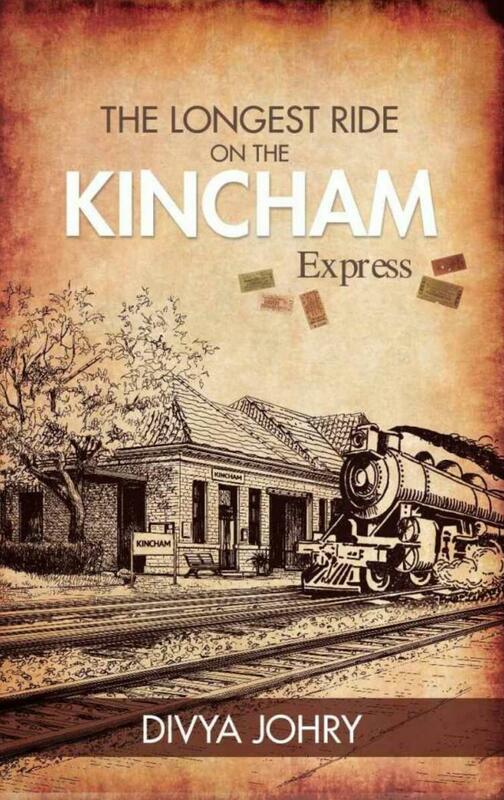 It shows a sketch of a train on the Kincham railway station, which with its quaint buildings, rufous tinge and mofussil environs, has an old-world charm to it. It also shows five train tickets, for the five passengers on this expedition about whom this story is all about. The blurb on the back cover gives a good glimpse into the premise of the story, and readers will pick it based on the elements of adventure and mystery that it connotes. The narrative follows five protagonists- Mihir, Amaaya, Sujoy, Neil and Trisha- who are assigned high priority work by their office, Perfect Plastics. For it, they have to travel on Kincham Express to the far off lands of Arkkukari. However, being from different departments, they don’t know each other much and many secrets start to spill out once the journey starts. Also, they encounter a mysterious group of strangers which complicates their journey. Will they be able to accomplish their mission by withstanding the pressure and survive the journey? What adventure awaits them on the Kincham Express? This is what forms the storyline. The characters are multi-hued and many-layered, and the author has played with their complexities and secretive nature with élan. The build-up to the climax is made up well, but the climax fails to pack a punch. The story drags sometimes, but the fascinating writing style of the author and the way she weaves her words makes the reader going. Numerous sub-plots and back stories also add elements of intrigue, but are also overly detailed and somewhat takes the story away from the main narrative. The picturesque locales are also described very vividly. This book has a narrative full of obscurity, intricate descriptions and complex characters. However, the philosophical musings that the book delves into doesn’t go well with the mystery-laden narrative. Also, considering the contemporary setting, some of the instances in the narrative seem unrealistic. But the writing style is refreshing and the bohemian characters do impress. This book should be read by those interested in fictions based on travel journeys and those who like to have morsels of mystery and obscure adventure served up their reading plates.